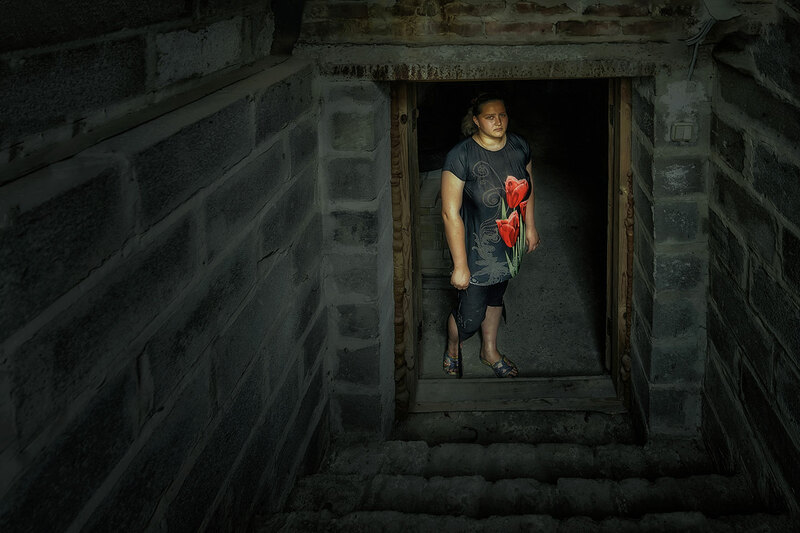 «The Womb» is a series of photographs and videos about life during the war. 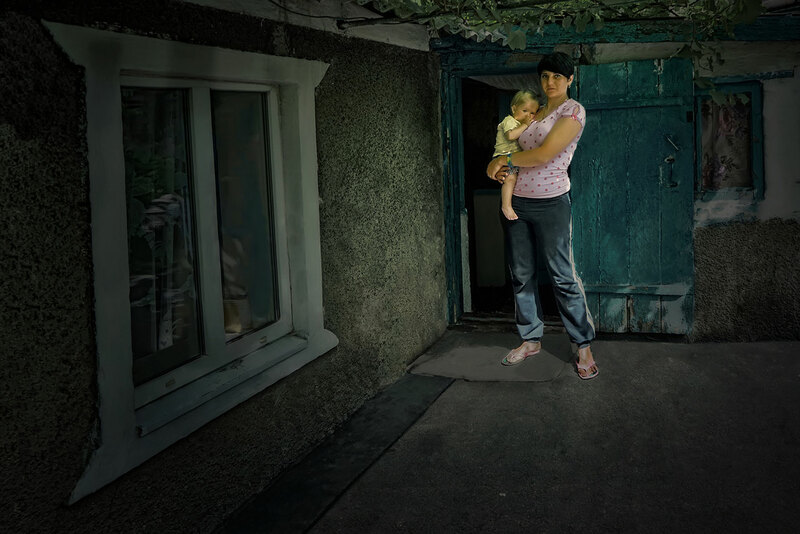 The project was created by a photo artist in 2018 on the front-line territory of Donbass. 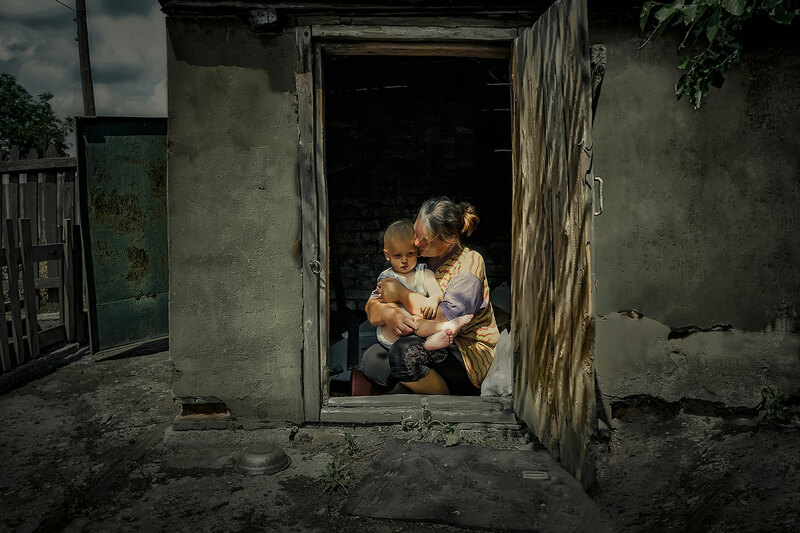 A Ukrainian photographer from Donbass, Alena Grom, shows life despite the odds. The pictures are based around the stories of women who decided to give birth to a child while living in a war zone. The photo artist builds her work on medical parallels where soil and shelter take the literal form of a picture of an ultrasound of an abdomen. Residents of mining towns are an intrauterine fetus that develops and lives a full life, but in full dependence on its mother. In a Soviet visual culture miners and metallurgists were often compared to Prometheus, outcast and brave demigod — semi-human. According to the legend, Prometheus had created people from soil and had given them fire. It was the fire that became the symbolic embodiment of the mythological character which was interpreted by Soviet propaganda as a personification of all those who work on soil, extracting and processing metal and coal. The image of a Prometheus like minor was heroic and full of utopian vision that glory, pride and peace would always accompany people of this profession. In order to bring up and raise the family people spent underground more time than on the surface. However, mortality in the mines has become one of important and burning issues of this region, both during the Soviet era and during the times of Ukrainian independence. The lack of modernization and concealing of the problem itself led to the fact that the soil was taking away its prometheuses more and more often. With the outbreak of the war in Donbass the media was talking about danger mines being closed at all and people losing their jobs. For miners’ monocities this seemed like a future catastrophe. 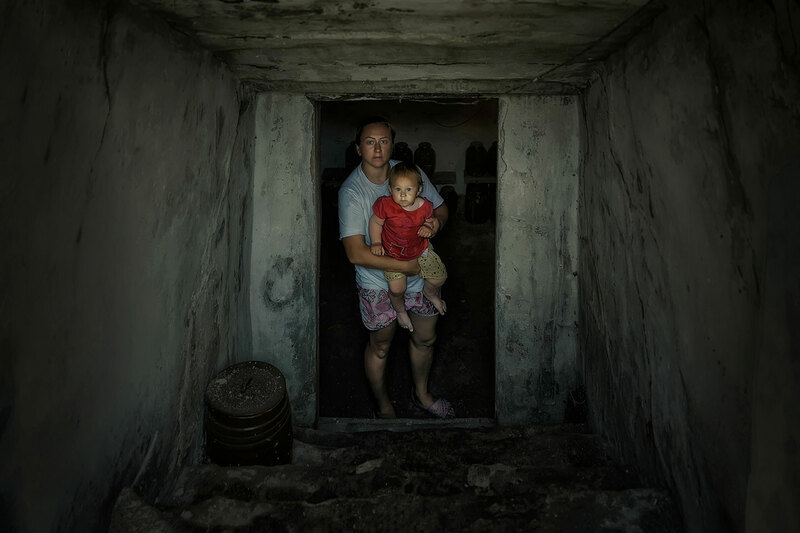 Since the beginning of the war, many mines have really gone out for some time and makeshift coalmines (pits, places of illegal coal mining) have turned into shelters and bomb shelters. 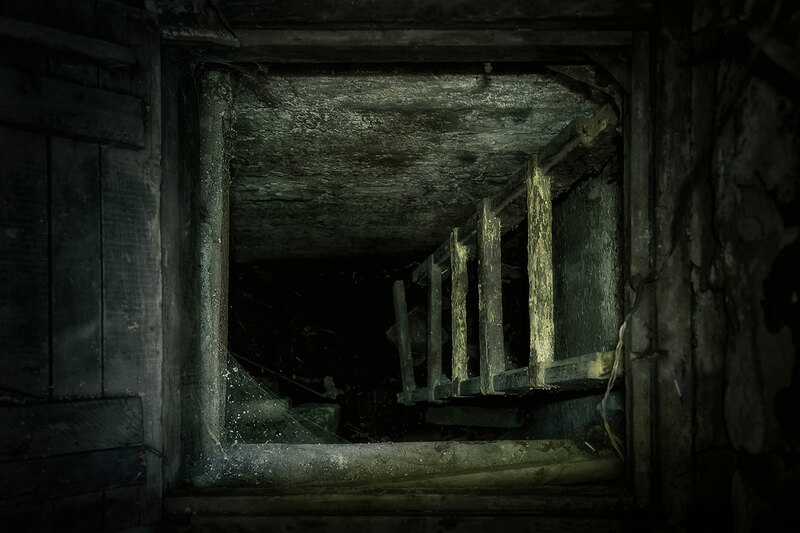 People have gone down into the mines again, but this time in order to be saved. Alena Grom shows a transformation of this place. If before the mines and the makeshift coalmines had been bringing grief and misfortune, then in the conditions of constant fierce attacks they acquired a different meaning. 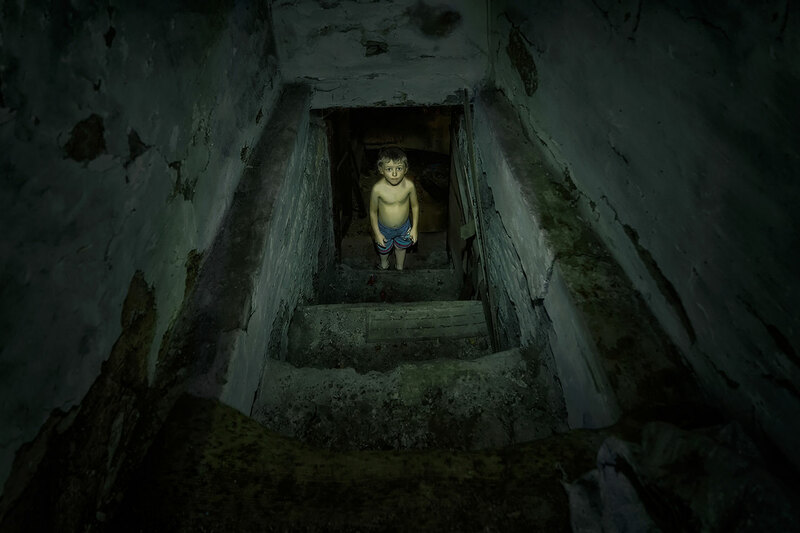 For a long time a lot of families were forced to live in dungeons: shelters, cellars and even mines. They were arranging their mode of life here and here their existence was going by. Thus, this place is the womb, which preserved and gave a new life. 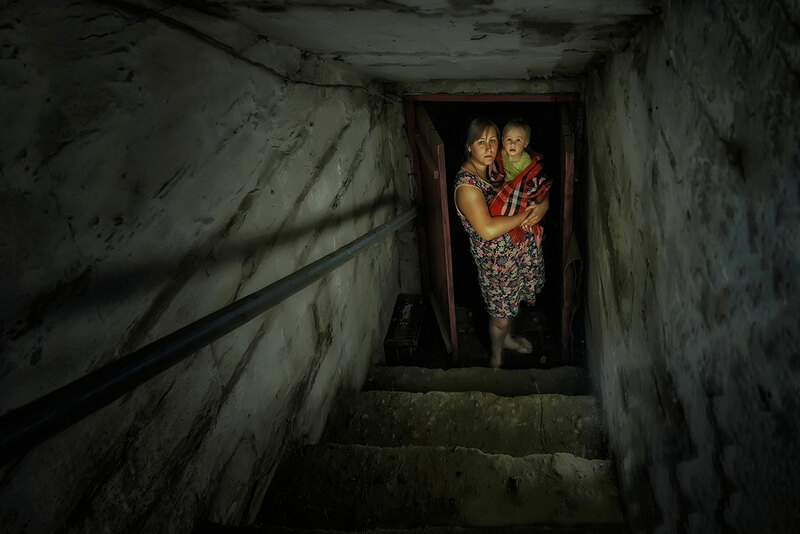 The project «The Womb» was created by a photo artist in 2018 on the front-line territory of Donbass. The pictures are based around the stories of women who decided to give birth to a child while living in a war zone. Heroes of Mrs Grom’s photos are both mothers and children of war, some of whom are more than four years old by now. This figure shows the understanding of how these children have spent their weekdays, how they have learned to walk, talk, experience the life during all four years of military operations. Therefore, the project «The womb» is also a story of life in spite of death, war and military violence. Alena Grom has chosen the genre of a portrait. Nevertheless, the characters are not the only ones in its focus, the «womb» itself is as an all-consuming space. A bright contrast spotlight conveys a special sensuality and drama built in the frame. What is more it reveals a trust between the photographer and her characters. 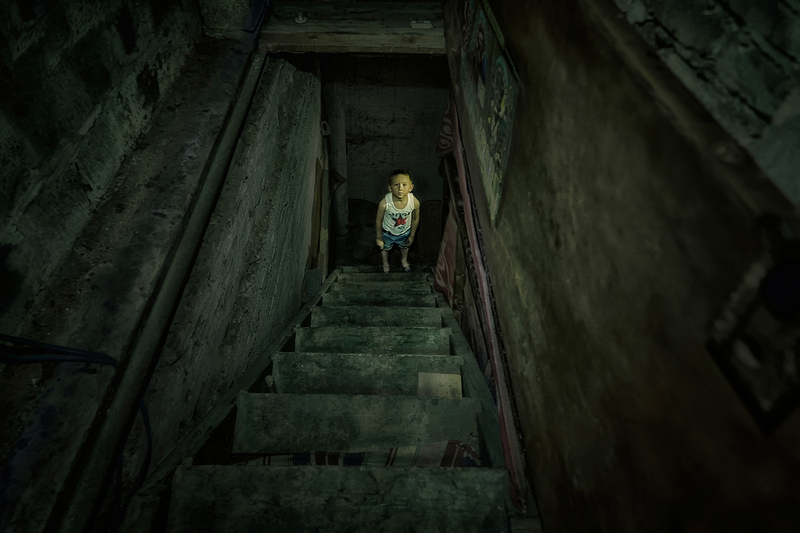 Some frames are compositionally and emotionally reminiscent of the photo stories of Gregory Creusson, a modern American photo artist, known for his scrupulous static surrealistic stories of American life. To some extent, Mrs Grom’s photos may also seem surreal, because it broadcasts lives in a social crisis, a little personal happiness on a background of total poverty and devastation. However, Alena Grom’s heroines refutes this surrealism as such perception of everyday life is quite realistic for them: «Well, how to put it. They shot and fired. 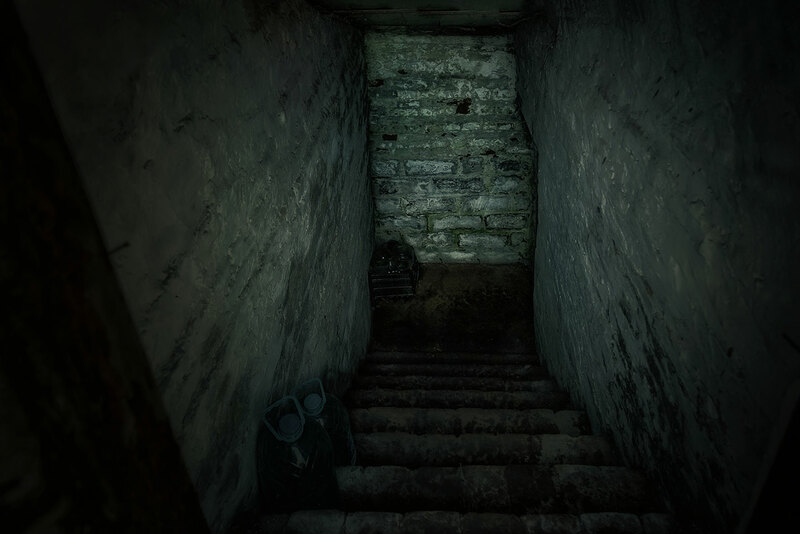 We were in the house, went down to the basement. As for the rest we seem to be like everyone else: we live, we survive, «- says one of the heroines. Mrs Grom explores the territory of Donbass as a living organism, so the artist builds her work on medical parallels where soil and shelter take the literal form of a picture of an ultrasound of an abdomen. Residents of mining towns are an intrauterine fetus that develops and lives a full life, but in full dependence on its mother. A theme of a peaceful front-line of Donbass is central for Alena Grom. She deliberately emphasizes the importance of human life and affirms it in her practice. How to help people who somehow wound up in the war zone? What is peace and mode of life during the war? How to overcome the war and continue to live? It is important for a photographer to talk not about the causes of war and not about the displacement of the front, but about the people who are able to survive this war and the place that can survive time.